Discover Illetes or Espalmador beaches among other wonderful places on board of Turca Arabian Nights boat. 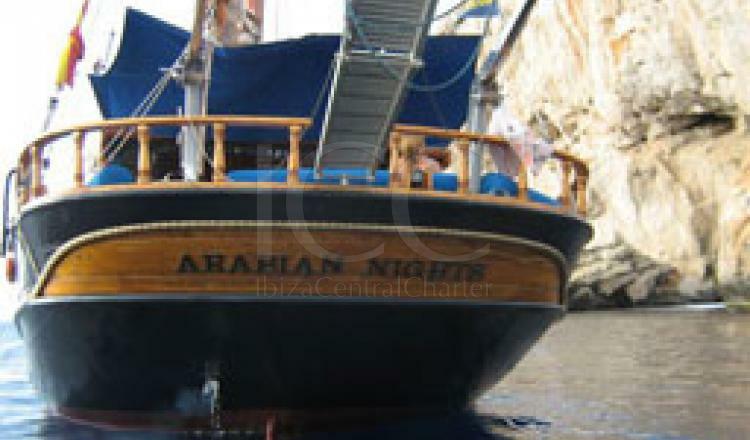 The Goleta turca Arabian Nights in one of the few boats of Formentera and ibiza with capacity for 25 passengers. 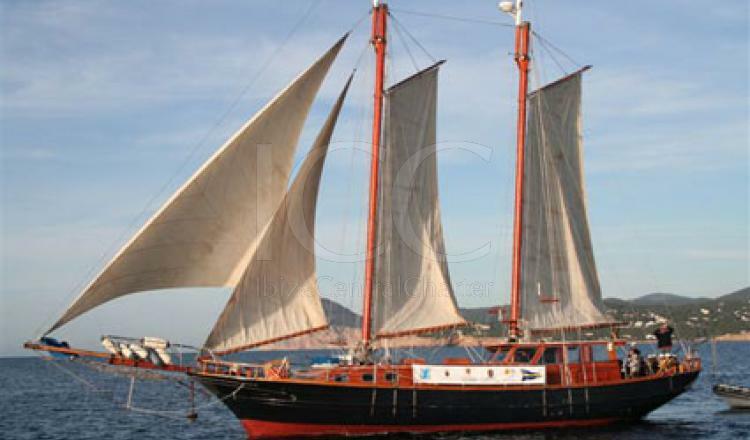 With its classic design this chooner with port in Formentera offers the opportunity to sail the Formentera island by sailing anchoring on the best beaches to be able to enjoy this paradise. 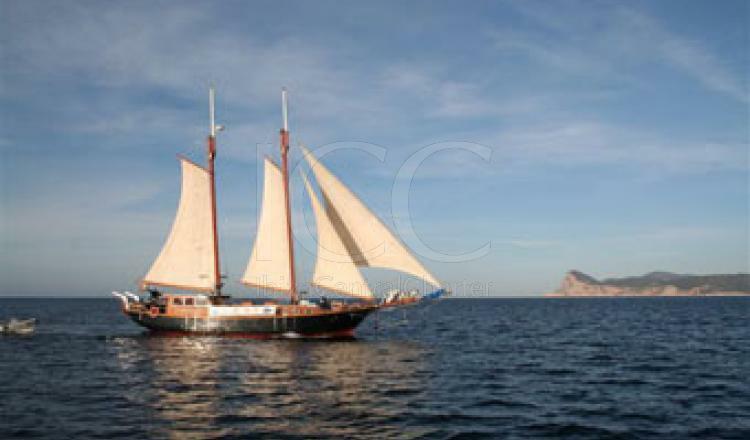 With a perfect service and meticulous care, the Turca Arabian Nights offers the possibility of embarking on the beach of Ses Salines (Ibiza) and then sailing towards Formentera. 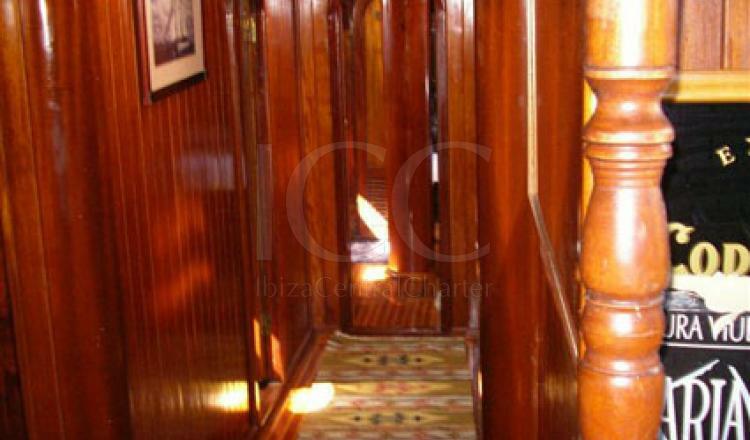 The price includes all expenses; fuel, crew and even complimentary catering. 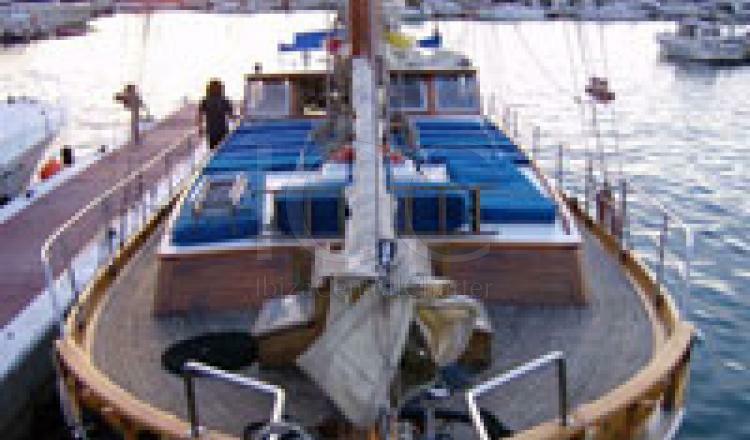 Everything ready to enjoy with family and friends on board! 50% when booking by bank transfer, 50%2 weeks before boarding. - 10 days before will be refunded 50% of the total. - 30 days before will be refunded 70% of the total. - 60 days before will be refunded 100% of the total. - Chek-in: at 12:30 p.m.